Known for its efficient performance, sturdy and durable construction, this Super Speed Kymograph is highly appreciated in the market. Manufactured using high quality raw materials and advanced machinery, it is processed through a number of quality checks. We being one of the leading suppliers of this product, provide this quality product at a very reasonable rate. This product is used for the purpose of graphical representation of spital position over time. 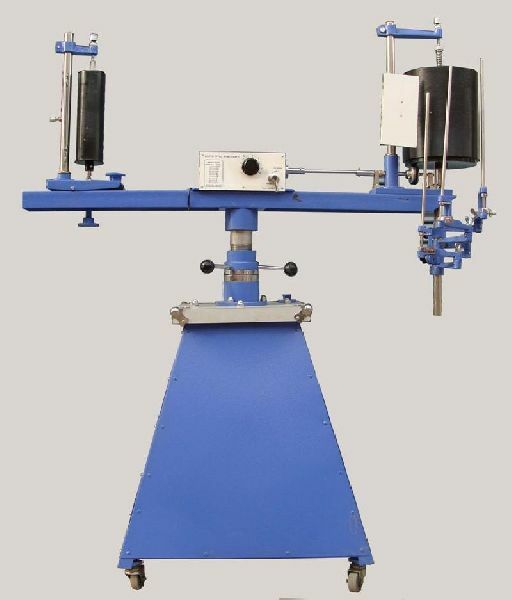 Features : We offer very good quality super speed kymograph with improved life time pinion lift Range of fine vertical adjustment 15cm. Close mesh 10 speed gear box, gear ratios 1:2 no. Backlash. Instantaneous start at all speeds with built in vibration free, noiseless motor, speed variation from 1 rev. In 25 min. To i rev in ii hours. Research Kymograph permissible paper length 2. 5 meters, adjustable along machined 120 cm bed; automatic paper tensioning devices, flat writing surface attachment 3 jointed arm uprights with fine tangential adjustment, auxiliary cylinder with fine tilt adjustment to permit equalization of tension at the top & bottom of the paper, neutralization clutch for immediate start & stop, centralized electrical points for respiration pump, time clock and operation table, mounted on heavy metal platform with castora, with manometer & two way time marker.